How many times have you planned a camping trip, looked online at various RV parks or campgrounds and thought they look great, only to find that once you got there you would’ve preferred staying in a Walmart parking lot? 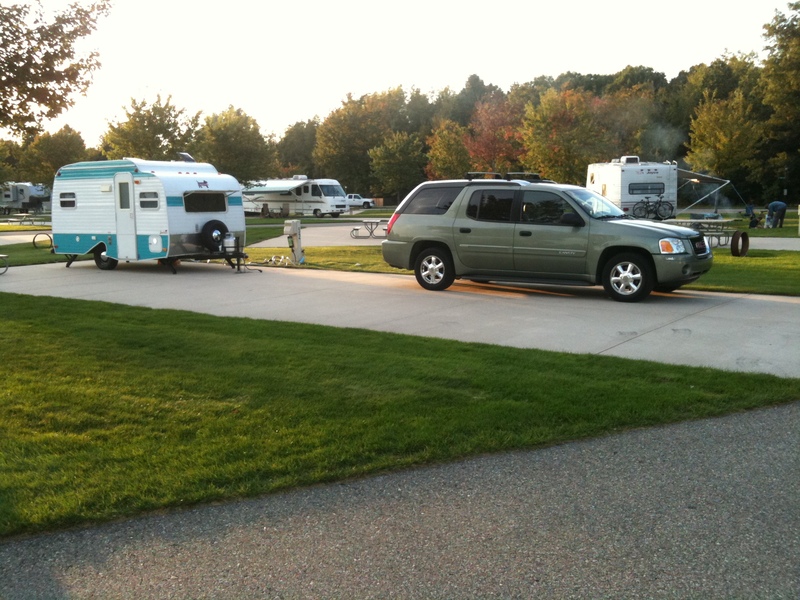 Chances are, if the RV park you picked was the Silver Creek RV Resort in Mears, Michigan, you would probably think like I did: The website didn’t do this place justice. 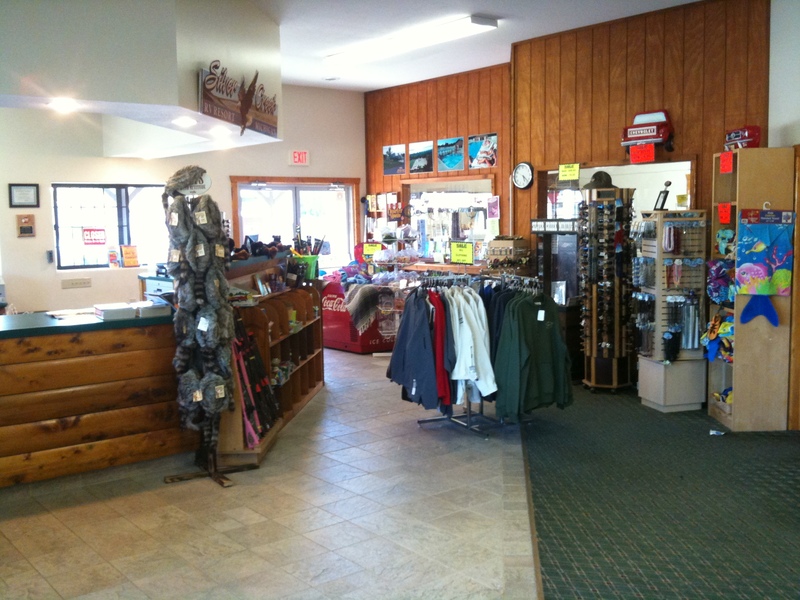 Opened in 2001, the Silver Creek RV Resort is one of several RV parks near the Silver Lake sand dunes, about halfway up the “mitten” of Michigan on the Lake Michigan coast. Boasting over 250 (with more to come) seasonal and nightly sites, Silver Lake RV Resort is hands-down the nicest park I’ve ever stayed in. All of the sites offer level, concrete pads measuring 20′ X 60′, full hook-ups, cable TV access, free WiFi throughout the park, a fire ring, and picnic table. We passed through the Silver Lake area earlier in September and we were so impressed we decided to make a camping weekend there before the end of the year. This weekend was it, and the Michigan weather behaved quite well with sunny skies and temps in the mid-60’s. 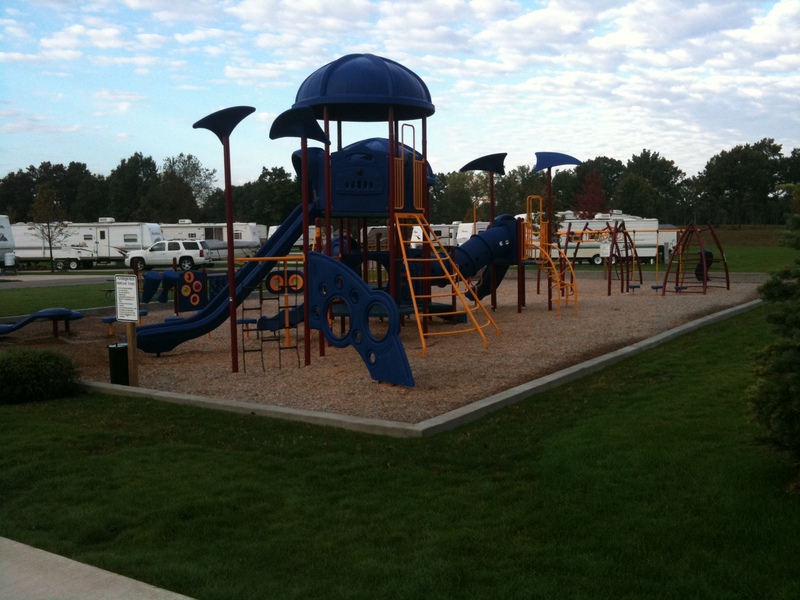 We chose Silver Creek after looking online at Silver Lake State Park and a handful of RV parks in the area. 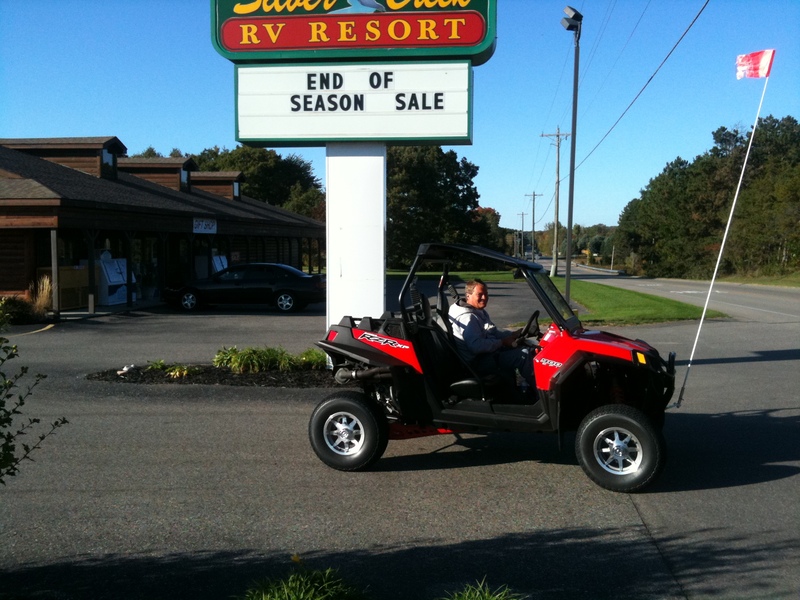 The off-season rate of $30/night at Silver Creek and the amenities they offered is what made us decide to go with them. Really glad we did too. The check-in was fast, and our site was basic, but clean. We couldn’t have asked for a better experience. The park was home base for many of those who come to the area for the dunes. 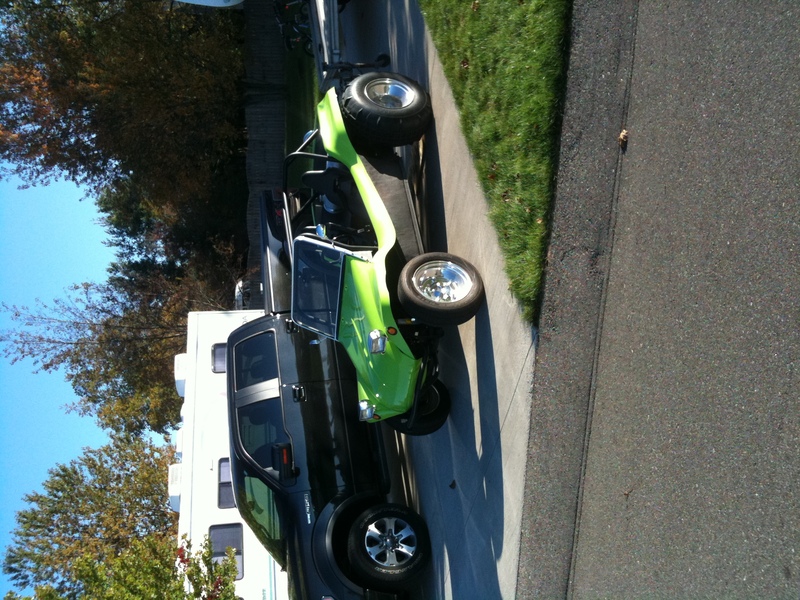 All sorts of ATVs, dune buggies, and other 4-wheel drives dotted the campsites throughout the park. The main office houses all those basic camping needs from firewood to propane, and all sorts of snacks and clothes, as well as an ample laundry facility. 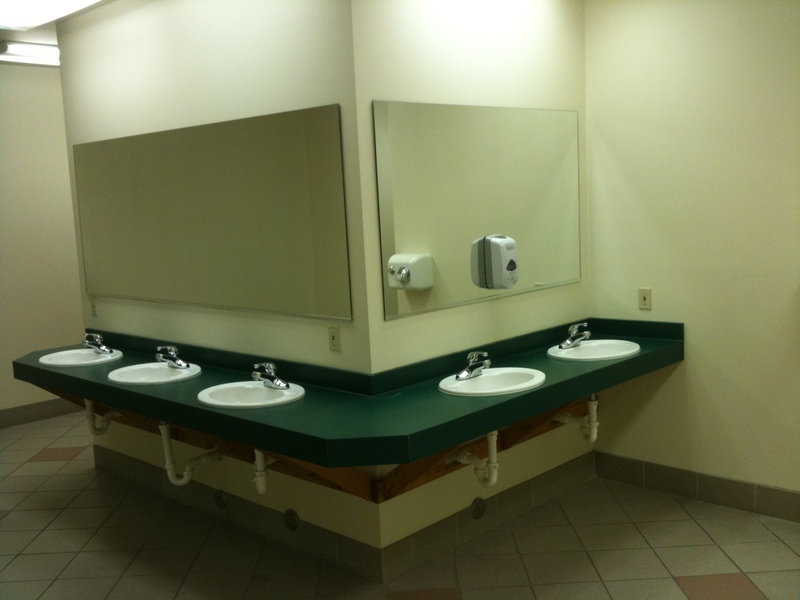 The comfort station near our site was the best I’ve ever seen at a campground or RV park. 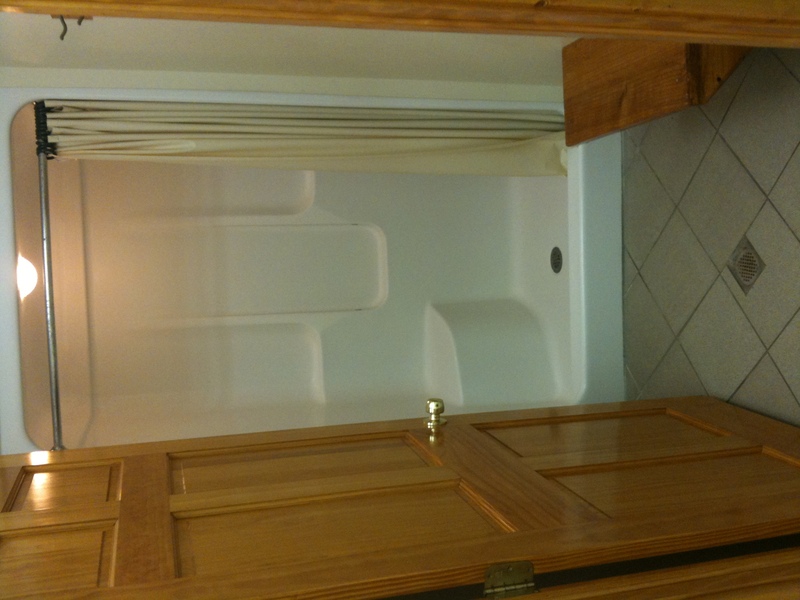 It housed five separate and private showers (NOTE: I didn’t go into the ladies side to count the showers), one with handicapped access. The rest of the facility was well-kept and clean. The grounds of Silver Creek RV Resort were very well manicured. Each site had a built-in sprinkler system, and the grass was free of any weeds. I wish my own front yard looked that good! Although the pool was closed, it was one of the larger ones I’ve seen at an RV park, and the playground equipment was top notch. If you’re not into riding the dunes, there’s still plenty of other things to do in the area. 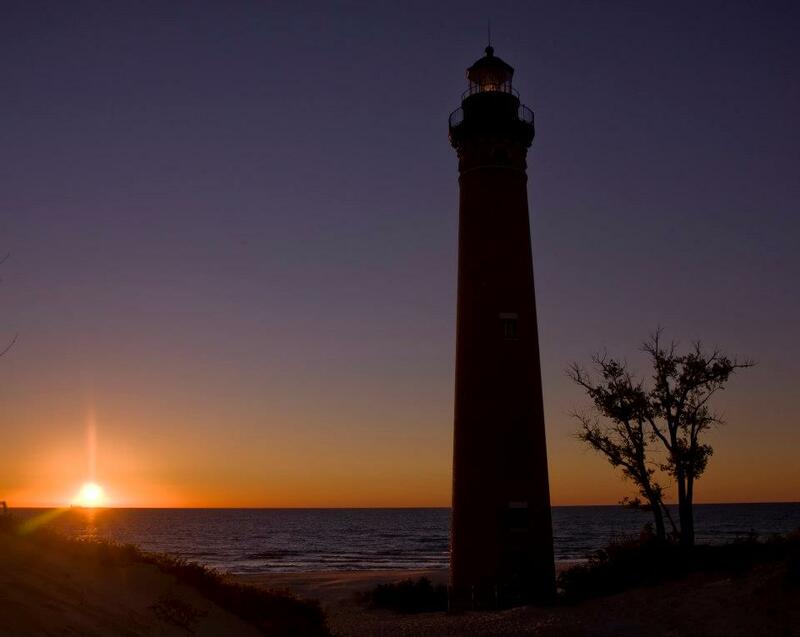 The spectacular Little Sable Point Lighthouse on the south edge of town is a must see. Built in 1874, the lighthouse is open to visitors. For a mere $2.00, you can climb the 130+ steps to the top and gaze out over the beautiful Lake Michigan scenery. There are a couple of go-kart tracks, miniature golf, and a handful of souvenir shops in the main district near the dunes and Silver Lake. If you feel adventurous, there are also places in town to rent dune buggies, Jeeps, and ATVs to take to the state park and ride the dunes. If you’re not feeling that brave, there are also places that will do the driving for you. While we were there for less than 48 hours, it was worth it just to get away for the weekend and explore a new area. 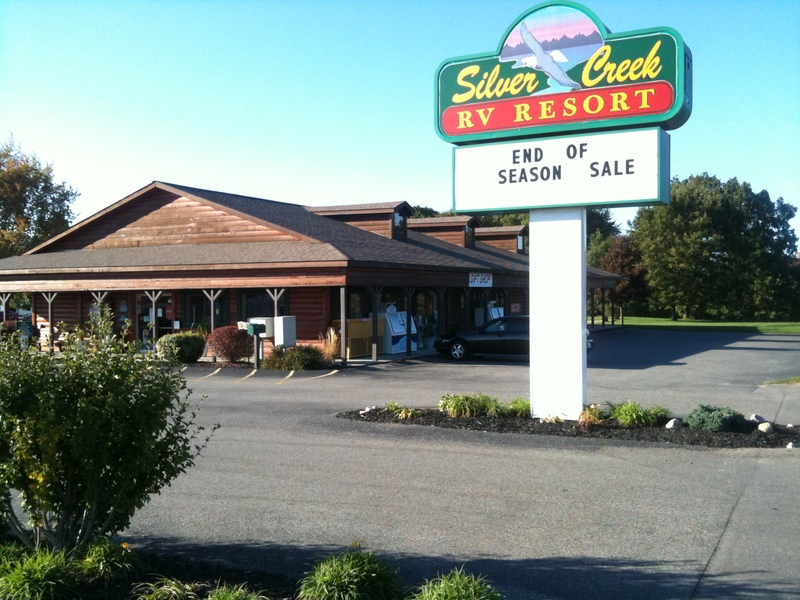 If you too find yourself spending time at Silver Lake, by all means give Silver Creek RV Resort a try. We’d be hard pressed to stay anywhere else the next time (and there WILL be a next time!) we’re up there. Rates vary anywhere from $20-$65 a night, depending on the time of the year. Silver Creek is open from April 1 through October 31.